When you first think of dealing with cars, what is your initial thought? Customer service? Sitting on hold with someone who will most likely not give you the answers you want? What about lack of knowledge, because you’re just not a hands on person? All of these options are very possible, and there’s no need to be ashamed of that either! Cars aren’t necessarily for everyone, but they can be! What if there was a way you could learn anything and everything about the automotive world? Too many questions? Well the answer for all of these questions can be provided by Auto Selection Services. What is Auto Selection Services? To answer this burning question of yours, let me shoot one right back at you: What isn’t it? Maybe that doesn’t answer your question right away, but Auto Selection Services is a site and service dedicated to all of your automotive needs. If you need help finding a new car, this is the site to use. How about a used car? You bet. Is that it? Not even close! This site can give you exactly what you need when it comes to your vehicle. Financing and Refinancing Help – They can help you SAVE money, even if your credit score is crummy. Insurance – Shop around for the best insurance you can find. Find a plan and a price that suits you. 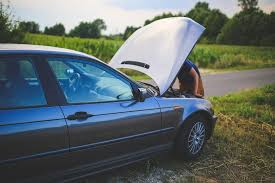 Roadside Assistance – Auto Selection Services can help you search and narrow down the perfect roadside assistance for you. Let’s face it, we all wish we had someone to help us with our cars at the click of a button. Warranties – Have bad luck with cars breaking down? That’s okay, because you can get just the right type of warranty you need through Auto Selection Services. Credit Repairs – Remember that whole “crummy credit score?” They can help you fix that too! Legal Issues – Legal issues happen all the time. If you get into an accident and need a lawyer, they can help you find the best attorney for your situation! Auto Searches and Auto Loans – Struggling to figure out what car is the right fit for you, or you need help financially getting your first vehicle? Auto Selection Services can help with that. Auto Selection Services is an affiliate of the BBB A-Rated H.O.P.E. Program. This “A-Z” comprehensive service will make your life a whole lot easier. It’s convenient. It’s simple. And it’s here to help.